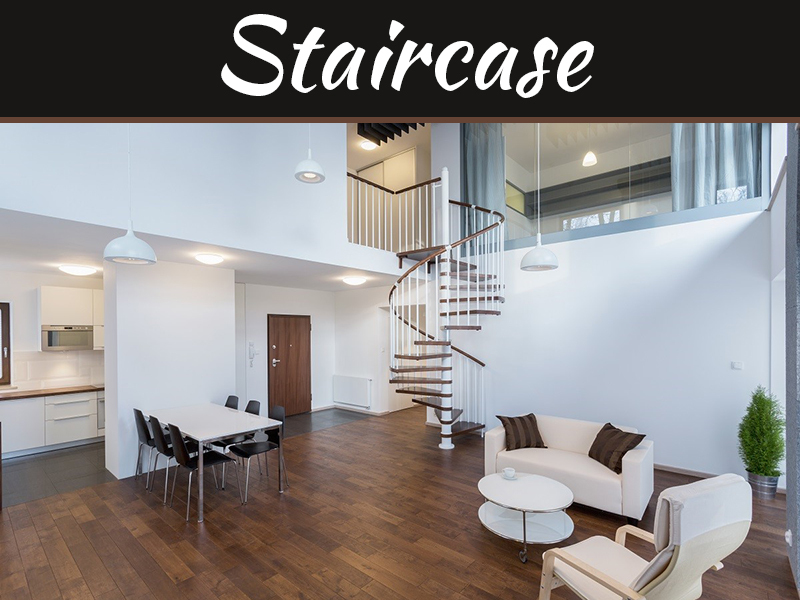 They are artistic, create an illusion of space and bring in depth into your abodes. 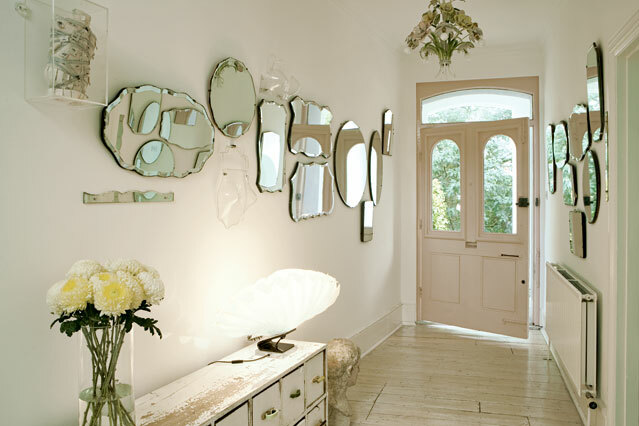 Mirrors have a character of their own and they can transform your homes with some panache. 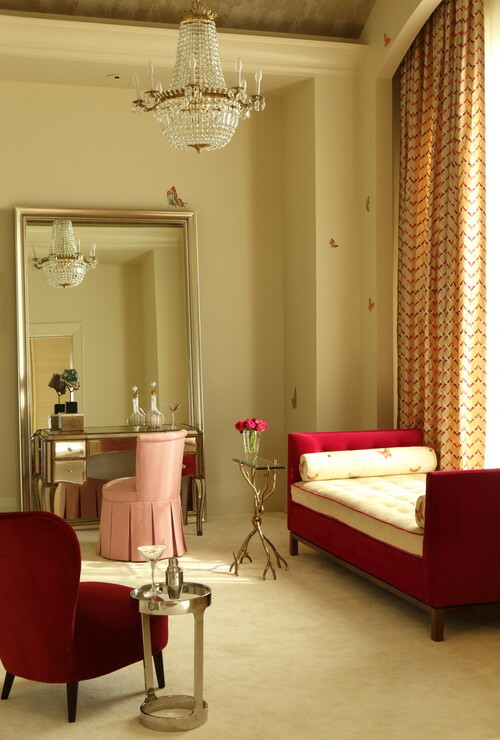 While full-length mirrors impart length and depth to your living room or bedroom settings, smaller mirrors can be alluring in their appeal. 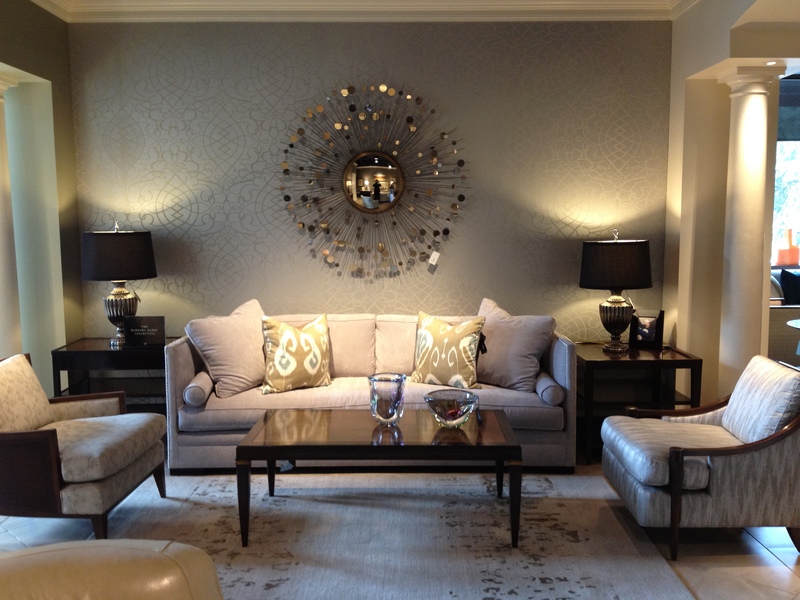 Take for instance this living room setting with peacock ornate mirror that notches up the lux-quotient of the area. There is a profoundness attached to mirrors that makes us spend hours together in front it. 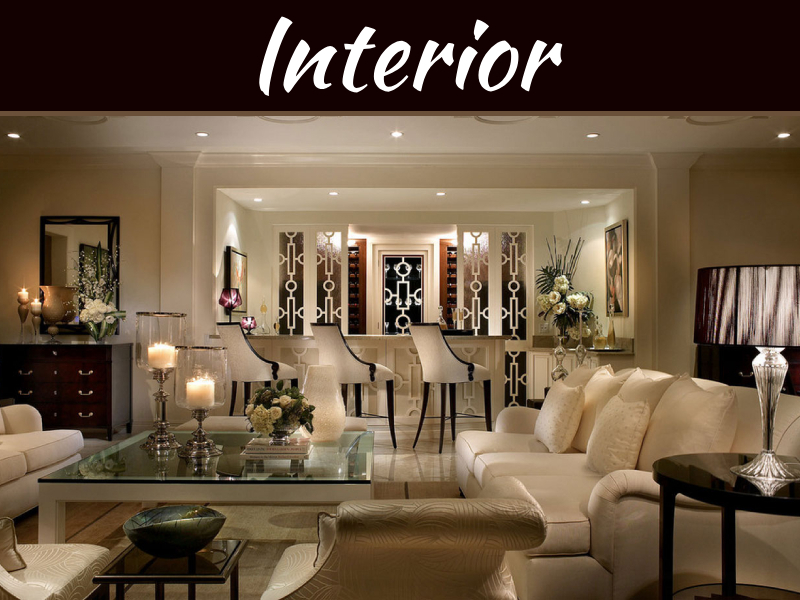 It is not just its functionality that makes mirrors so quintessential. 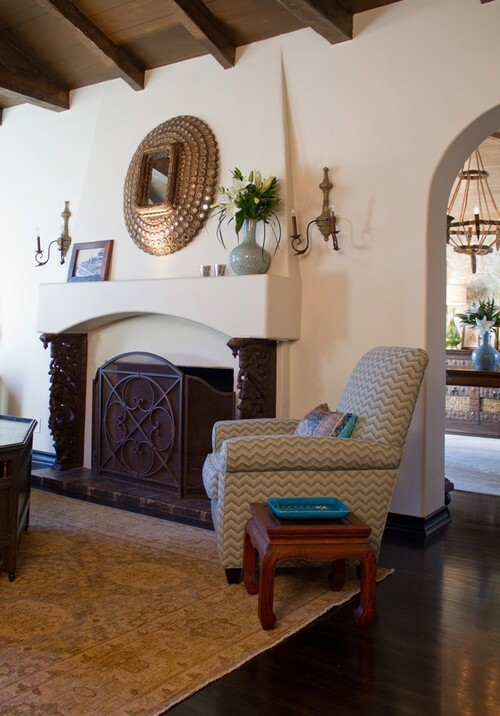 The hallway wall is a foremost area of your abode that a guest is introduced to. 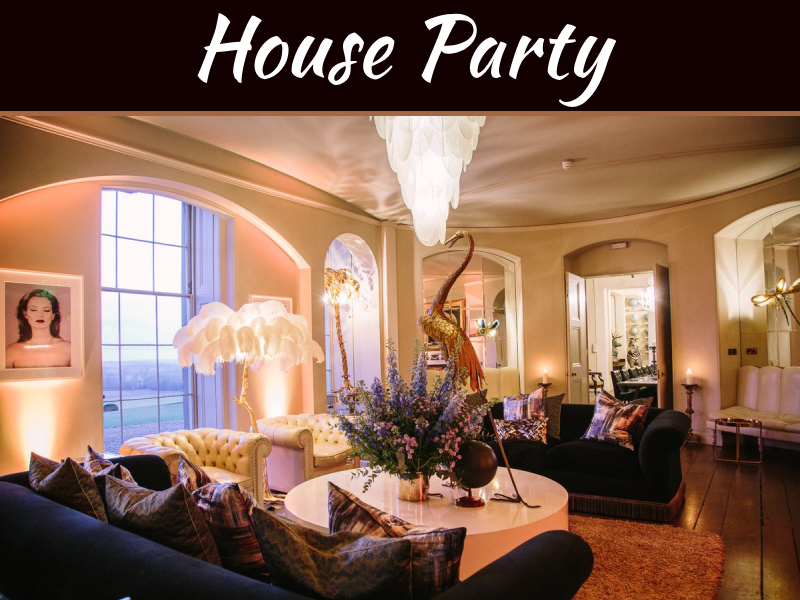 Cast a spell of charm on them from the very beginning by hanging some vintage or ornate mirrors on the walls of the hallway. 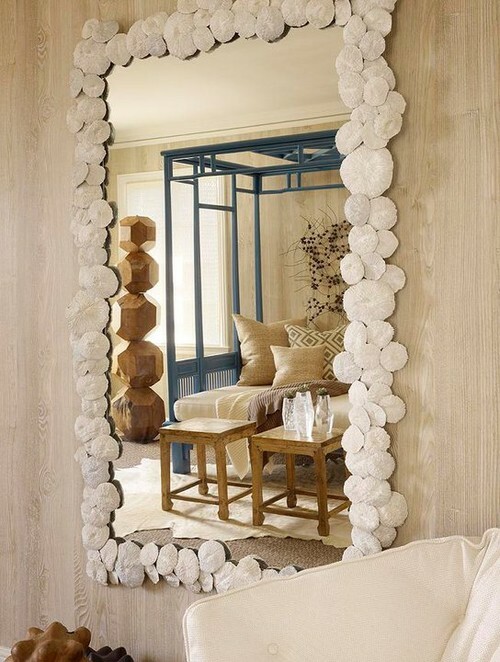 If you have a tropical living room setting, then this shell-frame mirror can complement the overall setting. 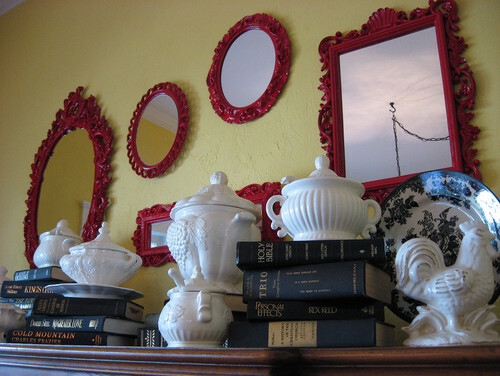 Hardbound classic books stacked up with classic white porcelain in the backdrop of vintage-frame mirror takes you back in time. The bubble-like arrangement of circular mirror on the wall makes for a perfect companion to this simple yet sophisticated bedroom setting. 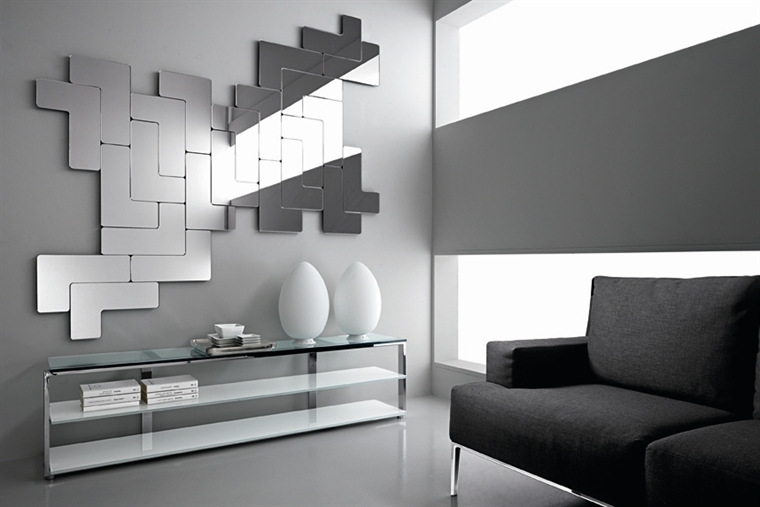 Geometric mirrors give a modern edge to the room. Take for example these tetris-style modular mirrors by Juila Dsoza that can be rearranged in myriad patterns. Each of these mirrors come with a magnetic back that help them settle in any composition. 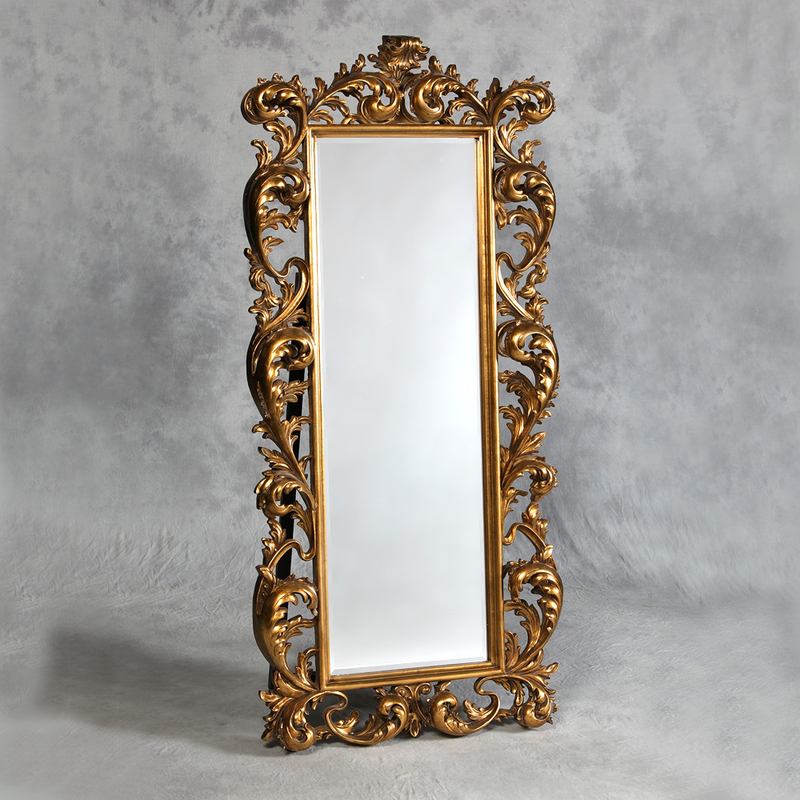 This full-length mirror is reminiscent of the Mirror of Erised in the Harry Potter series. It will impart a larger-than-life feeling to your contemporary bedroom settings. 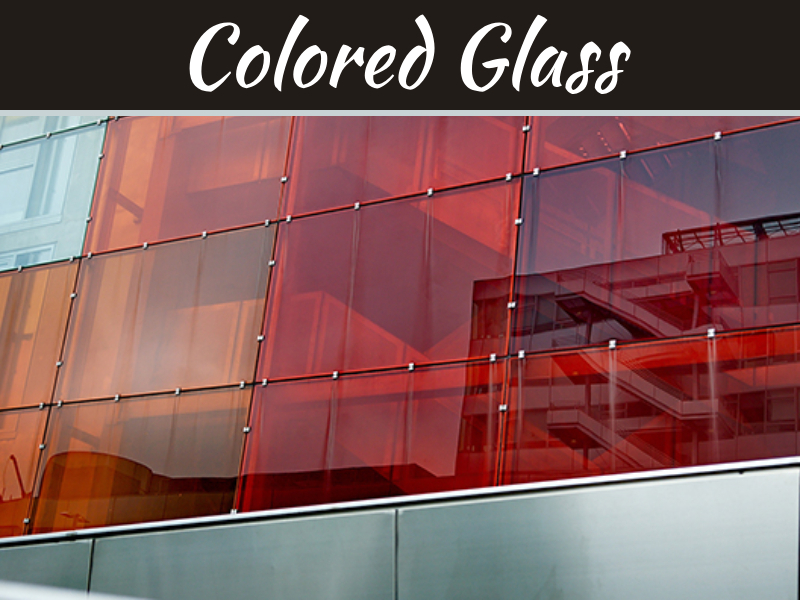 Constellation mirrors can instantly spruce up your living areas and notch up the glam-quotient of the area.